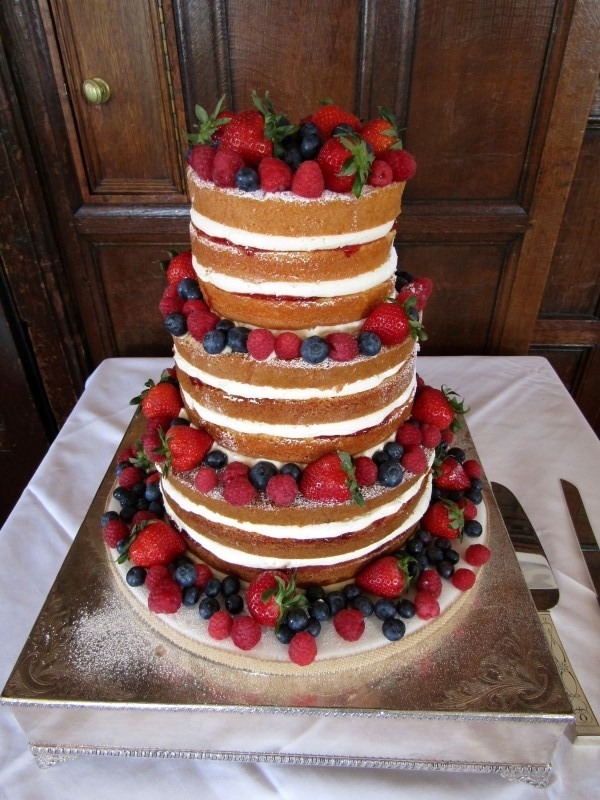 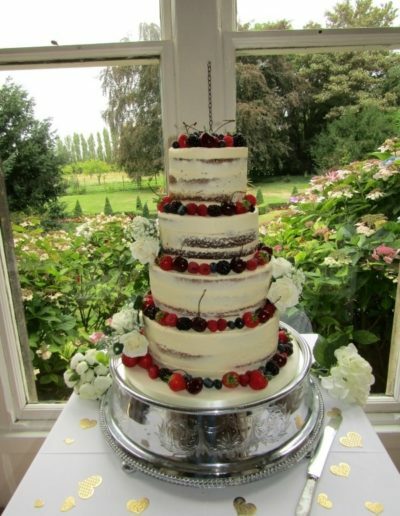 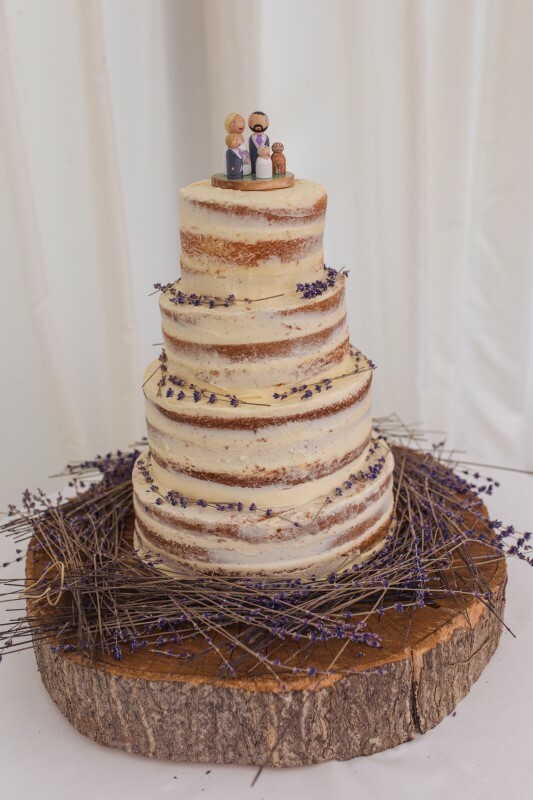 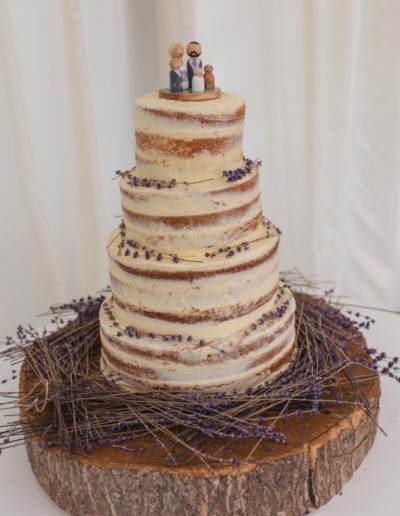 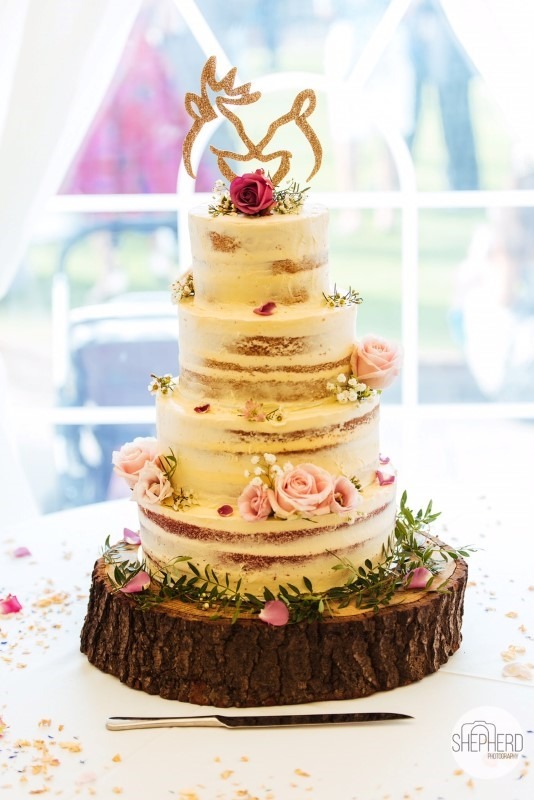 Naked Cakes are very popular at the moment and provide a great alternative to the traditional iced cake. 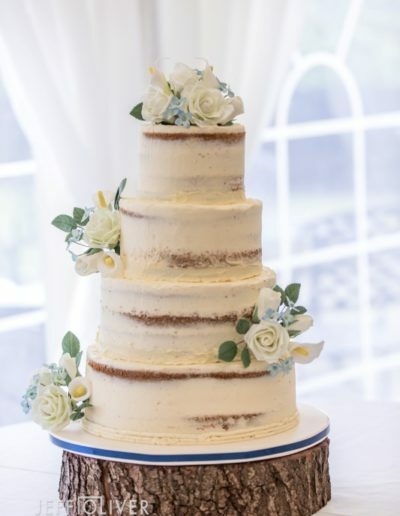 Naked Cakes are tiers of sponge stacked and filled with buttercream. They are usually decorated with icing sugar, fresh flowers, or fresh fruit, but anything goes! 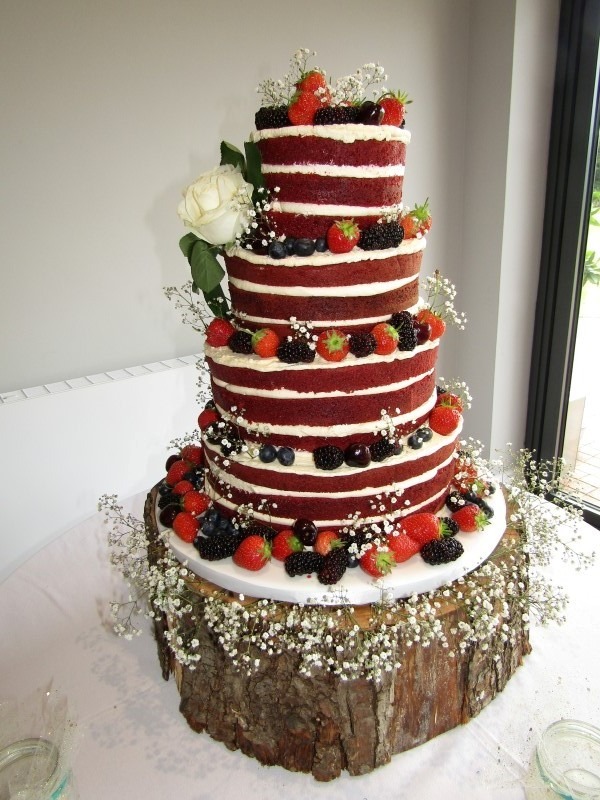 We provide the fresh fruit and icing sugar and fresh flowers should be provided by your florist and other decoration can be provided at extra cost. 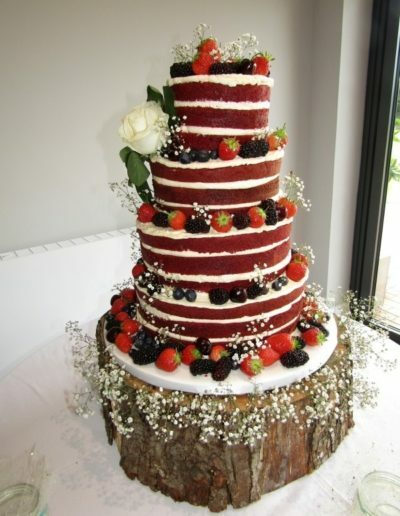 For sponges we offer Vanilla, lemon, red velvet, chocolate, carrot cake and death by chocolate. 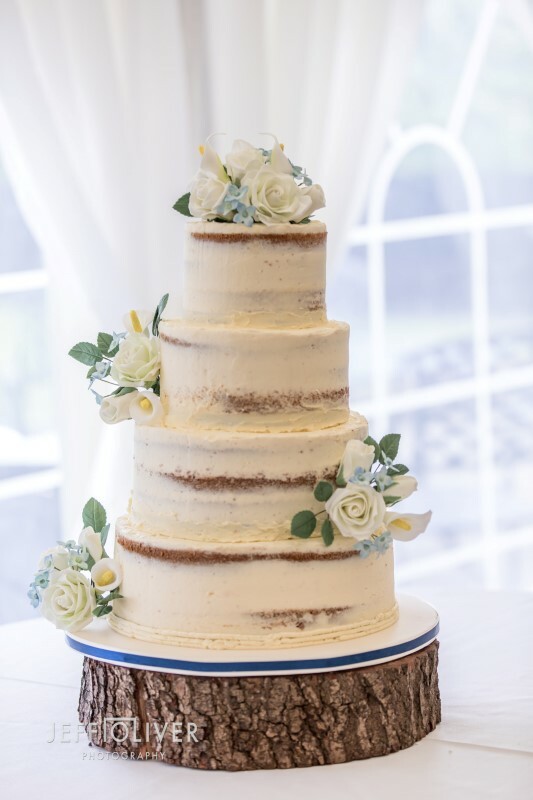 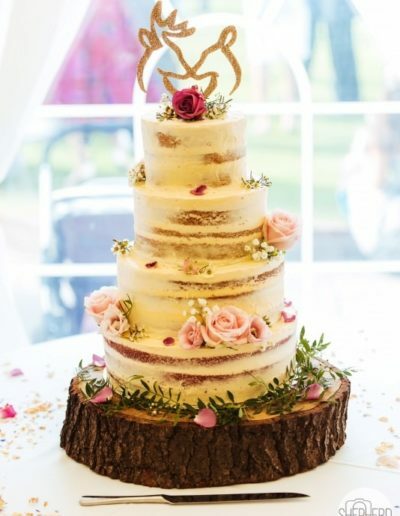 Semi-Naked Cakes are naked cakes with a “scraping” of buttercream around the outside filling in any “indents” in the sponge and between the sponge layers. 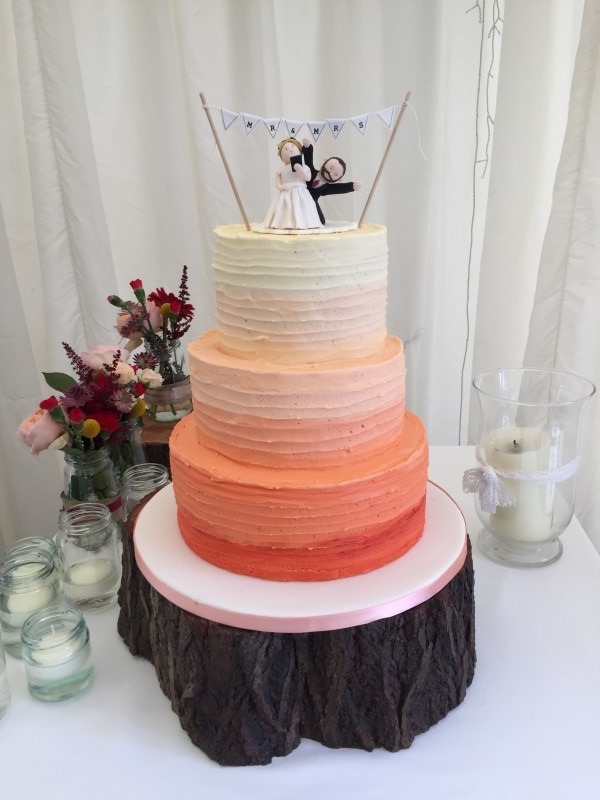 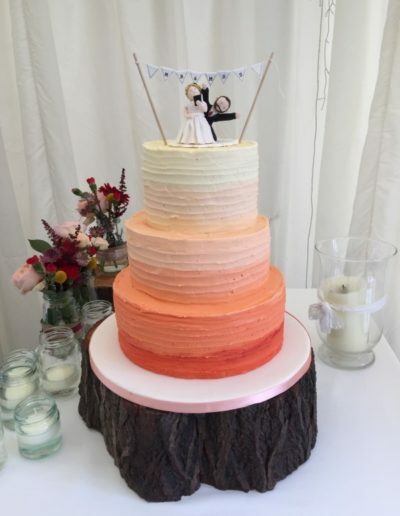 They are decorated in the same way as our naked cakes with the options of the same sponges. 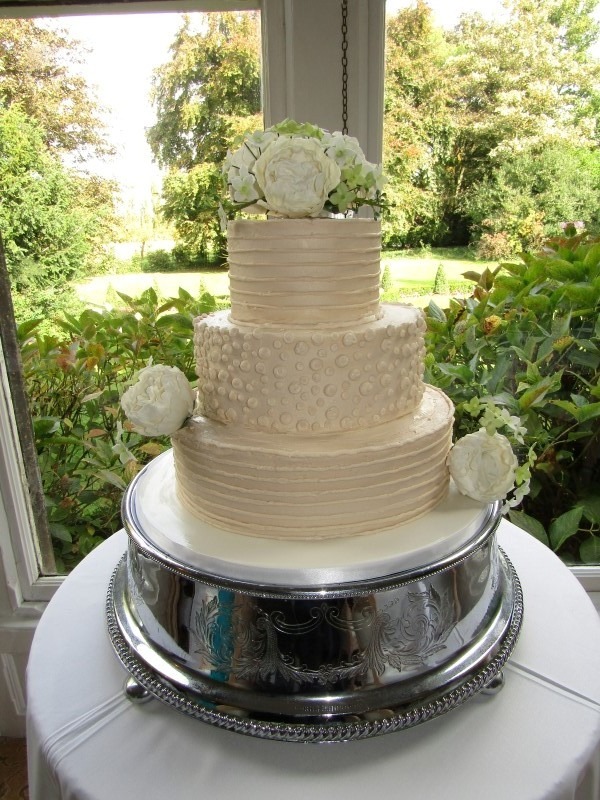 These cakes need to be set up on the day of your wedding as late in the day as possible to avoid the sponge drying out in the air. 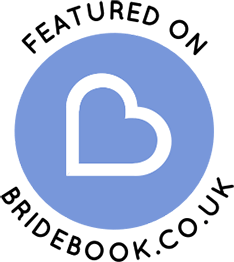 See out Terms and Conditions for more information. 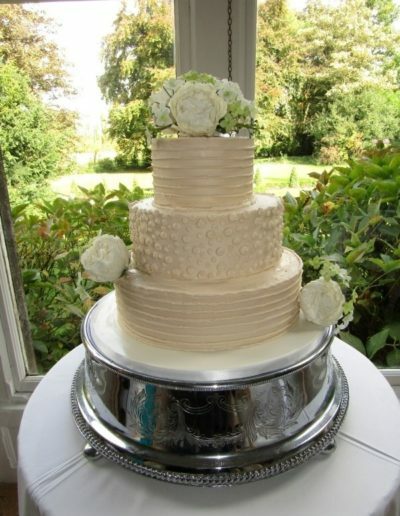 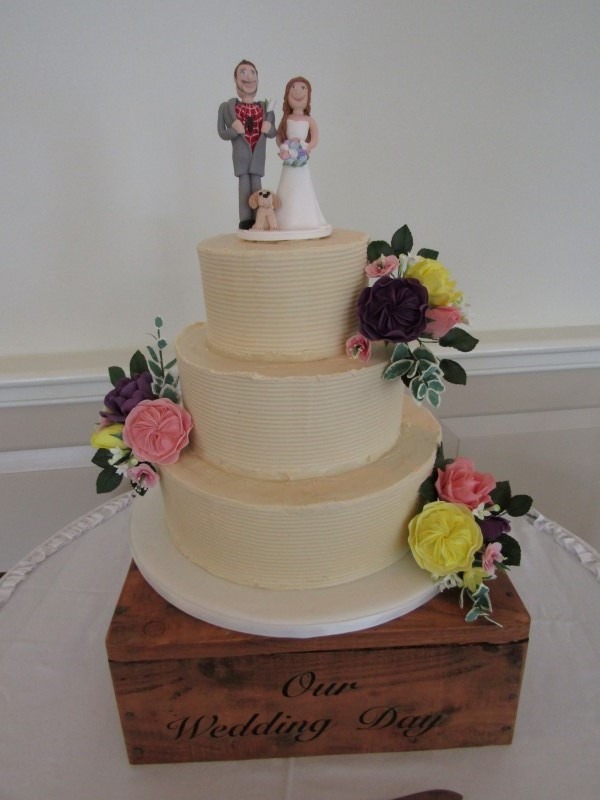 Buttercream Cakes – these are coated entirely in buttercream, and there are many different finishes available. 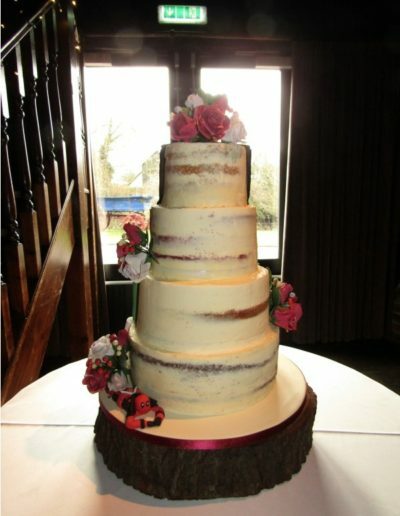 The buttercream can be coloured or texted to your requirements. 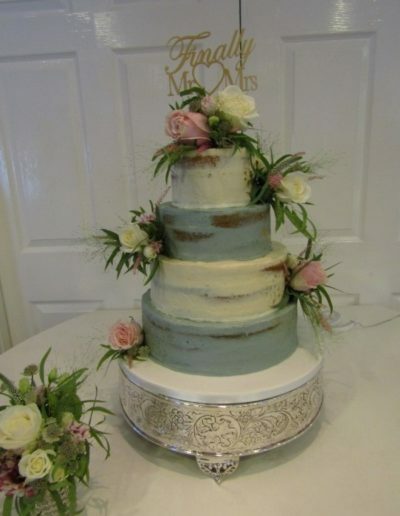 Decorated in a more traditional way usially simiar to traditional style wedding cakes, for pricing please see Cake Sizes and Prices.